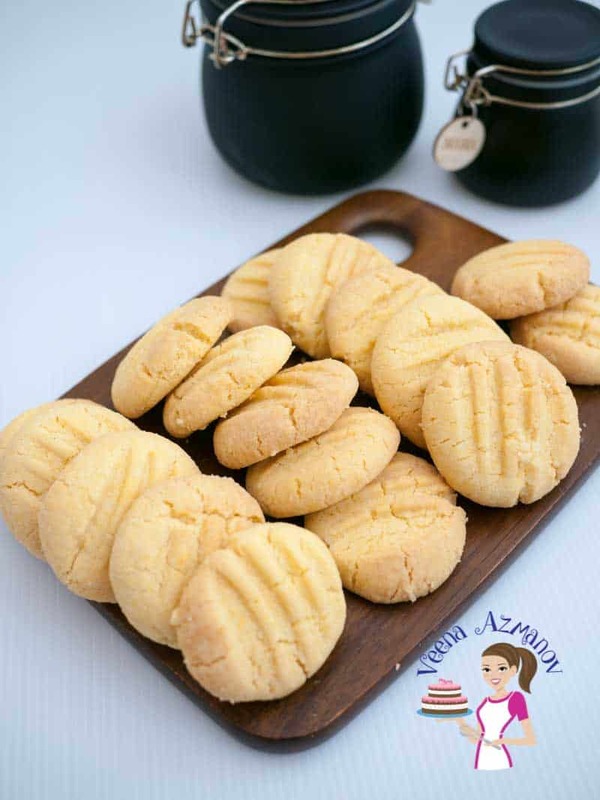 These no chill sugar cookies recipe is a must have on hand cookie dough for anyone who loves baking cookies. Soft, chewy sugar cookies made with just four main ingredients. The best part is you do not need to chill the dough before rolling or chill the cookies before baking. These cookies do not spread when baking either. 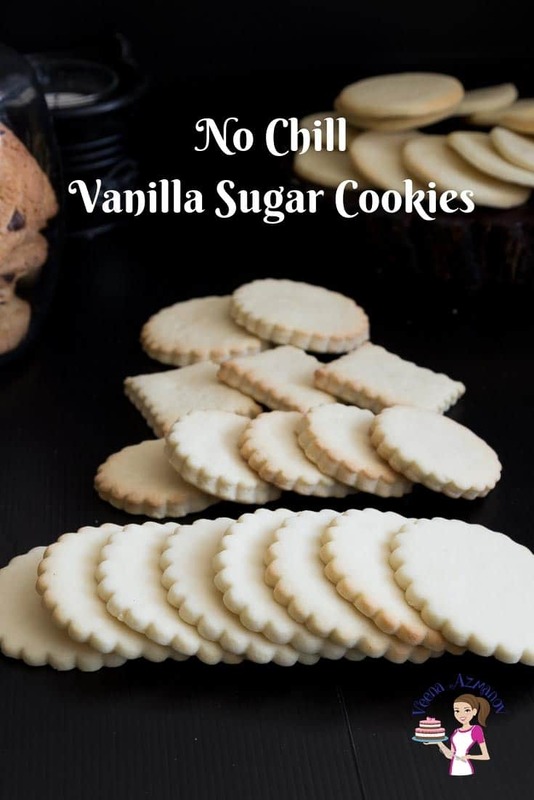 A great no chill vanilla sugar cookie to bake with the kids too. 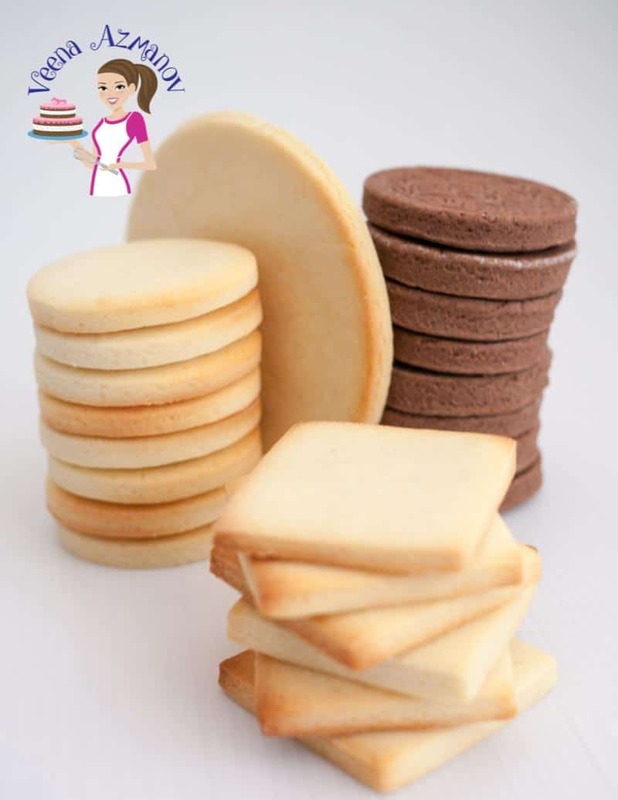 Have you ever needed to make sugar cookies urgently? Well, happens to me sometimes. I have on occasion been really late to make the dough and then realize – oh no… I forgot about the cookies. The truth is that I am very passionate about my recipe for Vanilla Sugar Cookies. Honestly, I think they are the world’s best sugar cookie recipe. It took me a long time to perfect that cookie recipe and it has become a base for many of my other cookies as well. Including this and my no spread sugar cookies recipe. I’m not a cookie decorator but being a cake decorator gets people to automatically imply that cookies are ok too. So often, I get the job of bringing cookies to the kids bake sale or such events. I love doing it but being a working mom juggling thru it all can really be hard sometimes. This is undoubtedly derived from my sugar cookie recipe which is already very popular on this blog and for good reason. It’s a no-fail recipe and has never let me down. They turn out perfect every single time. The best part is you do not need to chill the dough before you roll these, nor do you need to chill the cookies before you bake these. A big bonus is that they do not spread when baking too. So, no chill, no spread, soft, chewy – I’d say these turned out to be my best sugar cookies after all. So this one is similar but not the same. That one uses white granulated sugar while this one has powdered sugar, this one also has a bit of cornstarch to it which adds stability to the dough and enables us to roll them without chilling. The ratio of the flour is also different from the other recipe. 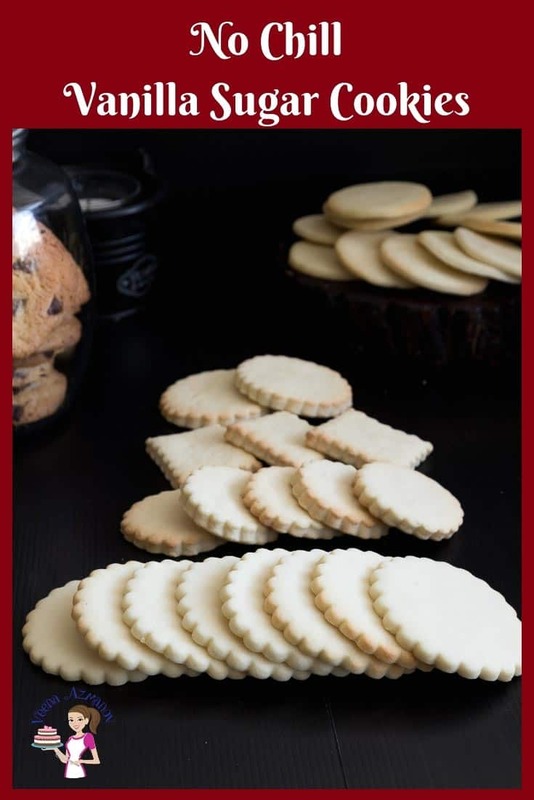 Post updated with commonly asked questions about sugar cookies. Are you sure I do not need to chill the dough? Do I need to chill sugar cookie dough? It is always a good practice to chill cookies while the oven is preheating. Chilling cookie dough helps solidify the butter in the cookies which helps when baking preventing the cookie from spreading as chilled dough takes longer to melt compared to room temperature fat. 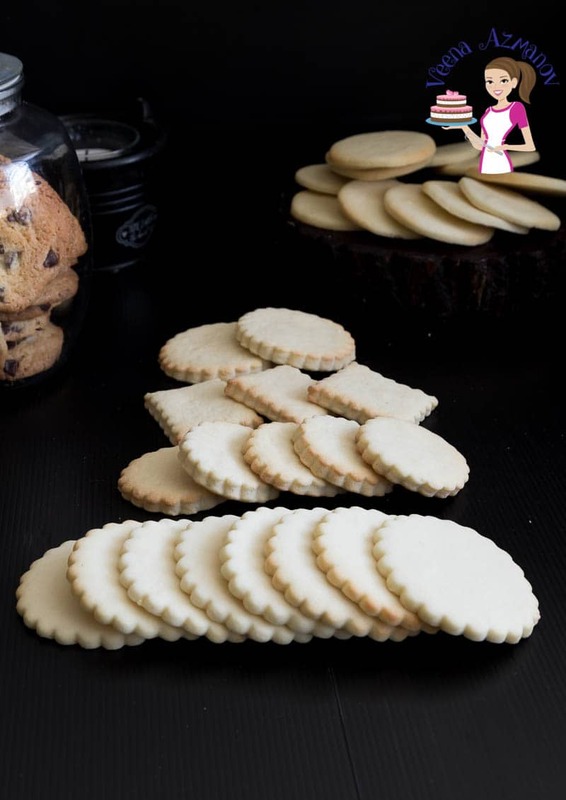 However, in these no chill sugar cookies, the starch added is a bit more than regular sugar cookies so that prevents the cookie from spreading too much. Is it ok to chill cookie dough overnight? Do I have to make the cookies immediately? Sugar cookies have a good shelf life as a dough as well as cookies. The dough, if wrapped well can usually stay in the fridge or 5 to 6 days before rolling and baking. You can even roll the cookies and place them on a parchment lined tray wrapped well with cling wrap for about 3 to 4 days. Sugar cookies dough can be frozen for a month or more if wrapped well. A great dough to have on hand in the freeze during the busy festive season. Should I refrigerate the cookies after baking? No, baked sugar cookies should not be refrigerated after they are baked. They can last for two weeks at room temperature if kept well in a cookie jar. Never leave cookies out for long as they tend to get soft. Why are my sugar cookies flat? Always, follow the recipe correctly unless you know and what the outcome different. Adding extra flour will give you dry crumbly cookies. Too much sugar or butter can make the cookies spread and lose their shape when baking. Rolling the cookies too thin will give you hard flat cookies. Do these cookies spread during baking? Nope! You do not need to chill these and they do not spread when baking. 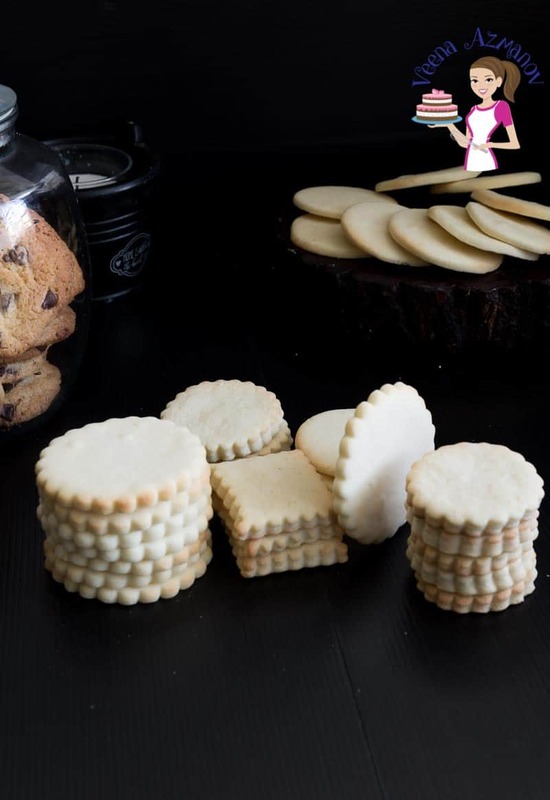 Unlike other no chill sugar cookies which tend to be dense and hard, these are wonderfully light but soft and chewy. 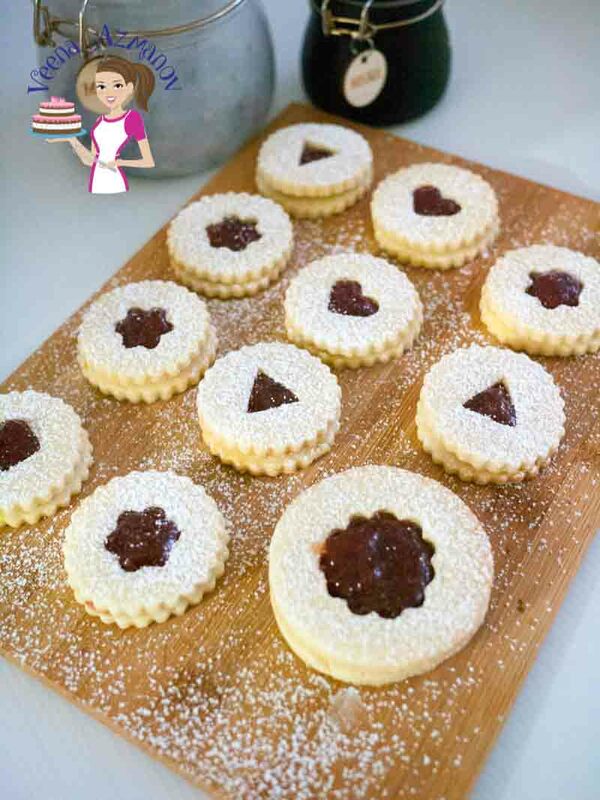 I used the fluted cookie cutter just so you can see.. they do not spread or lose shape when baking. Unsalted butter – I like to use unsalted butter in all my baking so I can control the amount of salt. And yet, if you must use salted butter just omit the salt in the recipe. All-purpose flour – I always use all-purpose flour with great success. You do not need any other flour. Powder sugar – also known as confectioners sugar or icing sugar. When looking for powder sugar always buy one made from cane sugar, not beet sugar. You will find the buttercream made from cane sugar does not have a grainy consistency. Vanilla extract – I like using vanilla extract. But it also has the tendency to color the dough. So, if you need a white or fair dough just add clear vanilla extract or rose essence. Having said that always use a good quality vanilla extract. I know it’s expensive which is why I make my own vanilla extract, vanilla bean paste as well as vanilla sugar. Cornstarch – also known as cornflour – I never miss an opportunity to add a starch corn flour, rice flour, semolina. These add a nice crumbly melt in the mouthfeel. It lightens the cookie as well. I’m not a slave to mixers but when a bake needs some good creaming method required I can’t but help insist you bring that K-Mix or Kitchen Aid from the back of the cabinet. It is really important to cool cookies completely on all sides as soon as they come out of the oven. So take them off the baking tray to prevent them cooking further but place them on a Cooking rack so they air circulates on all sides which prevents steam from going back into the cookie thus…… keeping them crisp not soggy. Always bake cookies on the center rack of your Oven, if you have more than one tray either bake them one at a time. You can bake two trays but sometimes this can lead to the bottom one spreading too much in some cookies. You can also rotate the trays in between baking which is often helpful in some cookies. Make sure the butter and eggs are room temperature. Add vanilla followed by eggs one at a time, mixing each well until incorporated. Next, add the cornstarch – combine well. Followed by the flour. Do not over mix once the flour is incorporated. Bring the dough together and divide into two discs. Dust the rolling pin and surface of the dough lightly with more as needed. 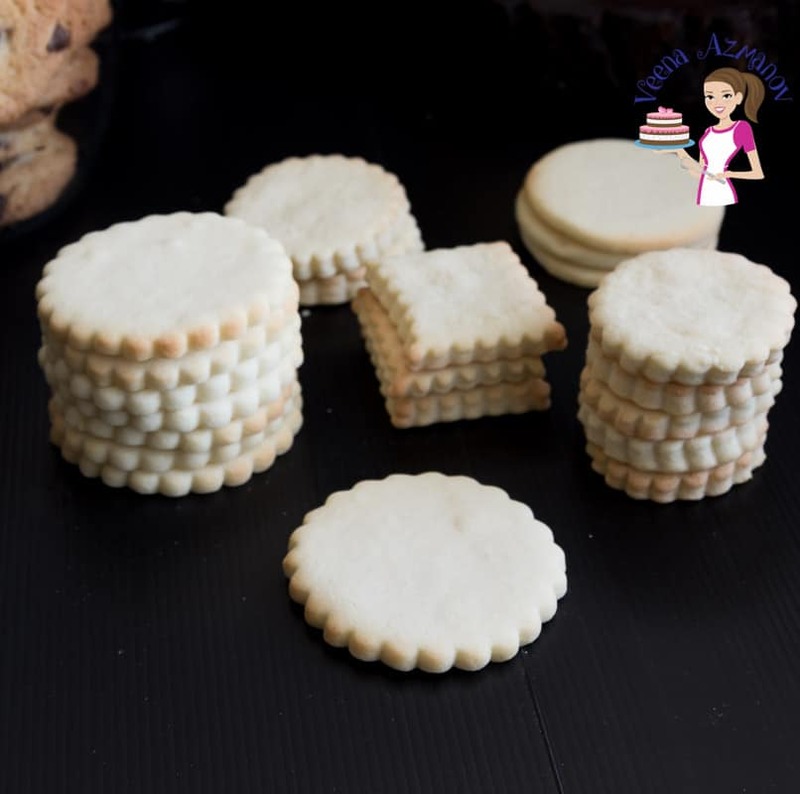 I roll my cookies a minimum 1/8 inch or 3 mm thick using a rolling pin with spacers. 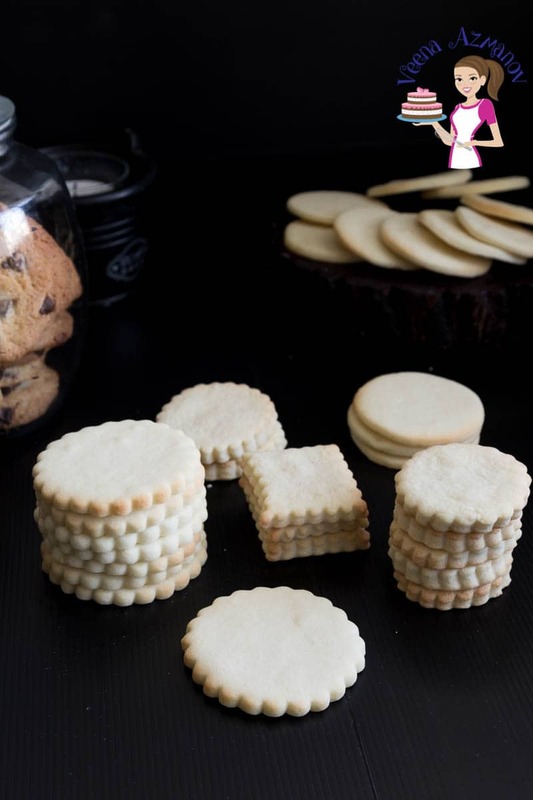 Cut out desired shaped cookies and place them on a cookie sheet one inch apart. Bake cookies for about 8 to 10 minutes depending on the thickness of the cookies. When baked let cool on the tray for 7 to 10 minutes then transfer to a cooling rack to cool further. 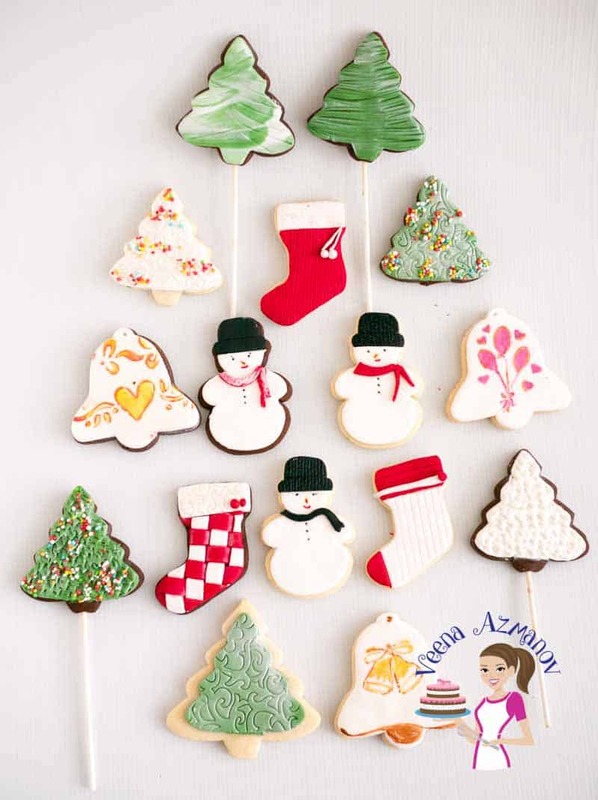 You can eat these cookies as is or decorate them with royal icing or fondant. This cookie recipe can be halved or double without any issues. Frozen for up to three months. If frozen thaw in the fridge over-night before you roll out. The baked cookies will stay at room temperature for up to 2 weeks but best eaten within a few days. Save this recipe no chill no spread sugar cookies on Pinterest for later. The best sugar cookies recipe to have on hand with just four ingredients and no need to chill. These no chill sugar cookies are soft chewy, simple and easy to make in less than 20 minutes. The best part is you do not need to chill the dough before you roll or chill the cookies before you bake them. Next, add the cornstarch - combine well. More cookies recipes for you to try. I really love this recipe especially it’s no chill. I always have a hard time with chilling in between batches. Thank you for sharing. Thank you, Amita. Yes, no need to chill these – they work perfectly every time. I’ve definitely found myself in the position of needing a dessert on hand without enough time to wait for dough to chill – this will be a good recipe to save for the next time that happens to me! We’ve all been there Leslie. This is perfect for those and other times. Two of my grandsons are due to come and visit tomorrow so I decided to try out your recipe. And it is just as easy as you said it was. I really like the idea of not having to chill the dough. They rolled out beautifully and they baked and tasted even better. This recipe is certainly a keeper. Thank you so much, Marisa. So happy to hear you and the kids had fun making these. yes, they are super easy and you don’t need to chill them nor do they spread. I think it’s like magic. Horray! The hardest part about sugar cookies is that you have to wait sooooo long to eat them because of the chilling. I appreciate this super simplified process. Thanks so much for sharing. Thank you Analida. I hear you. I hate chilling time too. I love quick and easy. No chill, no spread sugar cookies is cookie making heaven! As everyone is a sucker for cookies at my place, I’ll be trying them for sure! Thanks, Saima. Glad you like it. They look lovely and perfect! A great recipe to have on hand with all your tips and suggestions that I always look forward to! These cookies look fantastic! It’s brilliant that they don’t spread at all in the oven and that they look so evenly baked too. I love that this sugar cookie recipe is both no chill and no spread! Talk about perfect! They look so good and as I’ve seen a lot of your dessert recipes, I can believe that they are the best sugar cookie! I can’t wait to try them. Thank you, Elaine. I hope you try this out – it’s one of my favorite recipes. Where was this recipe around Christmas for me? I’m going to save this for next year. I definitely prefer not to chill if I can. It’s an old recipe on my blog Nicole. Been here for a few years now. I hope you try it. No chill and no spread? This recipe is my new best friend! I hate having to wait for the dough to chill and it’s always disapointing when the cookies lose their shape! Thank you, Aleta. I hear you. I hate having to wait too.